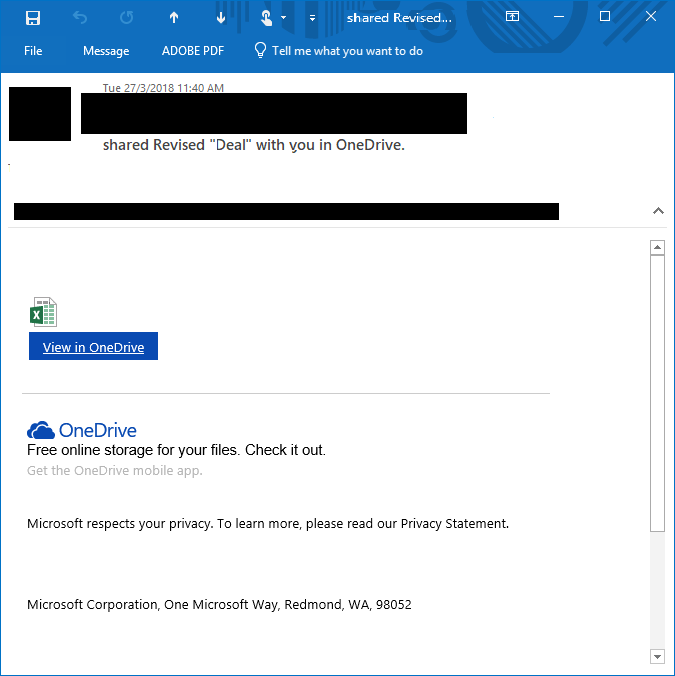 The link in this email will redirect you to a “Fake” Office 365 Login. When users enter their username and password, it will be sent directly to the hackers, and they will use the information to access your Office 365 account. Please share this information with all your colleagues, to prevent any leak of sensitive information. How to Identify if a OneDrive link is safe? You can see that the link will point to http//alutech-sr.it. Obviously this is NOT an Office 365 or Microsoft website. If you are not sure about the origin of an email, always contact the sender first before opening the file. Want to know more about other ways to protect your organization against scams and malware? Please contact us for more information.